Although these words have a vowel sound, they use the consonant letter y instead of a vowel. Think of the /k/ sound in case and the same sound in Kate. Think of the different pronunciations of the letter c as in cake and nice. 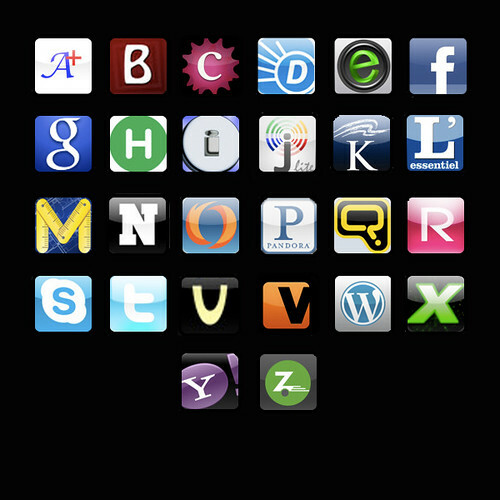 The word alphabet comes from alpha and beta, the first two letters of the Greek‏‎ alphabet. These in turn come from the first two letters of the Phoenician alphabet where they meant ox and house respectively. So alphabet actually means ox house. The word vowel comes from the Latin word vowis meaning voice; the word consonant comes from the Latin word consonare meaning sound together. Where Does the English Alphabet Come From? Although the history of the English alphabet is a not certain, it’s thought that its earliest ancestor was the Egyptian Hieroglyphic system. Here pictures represented real-life objects. A picture of an ox represented a real life ox, for example. Later, the picture of the ox became more stylized and looked nothing like an ox. In other words it turned into a symbol or a letter. And as time went on these letters began to represent sounds rather than objects (although sounds related to the pronunciation of the object). By around 2,500 BCE people living around Egypt, Syria and Palestine were using these symbols extensively to represent sounds; this was known as the Semitic alphabet. However they only used them to represent consonant sounds only (not vowels). Around 1,600 BCE the Semitic alphabet was used by the Phoenicians and was spread more widely. Then around 1,000 BCE along came the Greeks and they adopted a shorter version of this alphabet and, significantly, added in sounds for vowels. Of course next were the Romans who took the alphabet and adapted it for their own use. This is the so-called Roman alphabet we use today and there are significant similarities between the Greek and Latin alphabets. It’s suspected that the Roman alphabet arrived in England via Ireland between 5 CE and 1,000 CE. The Roman alphabet, incidentally, is used in around 100 languages around the world and is by far the most widespread writing system (although adapted for each language). Waltz, nymph, for quick jigs vex Bud. This is useful to know when playing Hangman‏‎. For a full list of letter frequencies, see this page. Why does the alphabet have 26 letters? There is no logical reason why the English alphabet has 26 letters. Alphabets from other languages have more or less or the same number of letters. The letters used in English derive from the sounds but there is no real correlation between the sounds and the letters we have. The number of letters is also determined by the history of writing, spelling and printing in English. Vowels and Consonants‏‎. – a look at the difference between these.